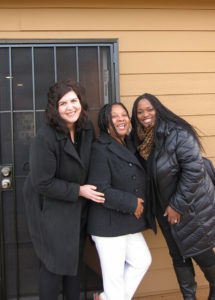 Homeownership - Portland Community Reinvestment Initiatives Inc.
PCRI develops new homes for purchase by qualifying first-time buyers and provides a comprehensive Homeownership Education and Counseling Program to ensure buyers can become and remain successful homeowners. PCRI has helped first time buyers of all ages and backgrounds achieve their dreams of homeownership—just ask Betty, Rachel, or the Shaw or LaRose families! Or ask PCRI’s Homeownership Program Specialist Linda Tellis-Kennedy, who not only helps participants become homeowners, she is also a past client. Monthly homebuyer workshops are held each month and provide clients with additional information on a variety of topics related to the home buying process. Check out upcoming classes and register HERE. 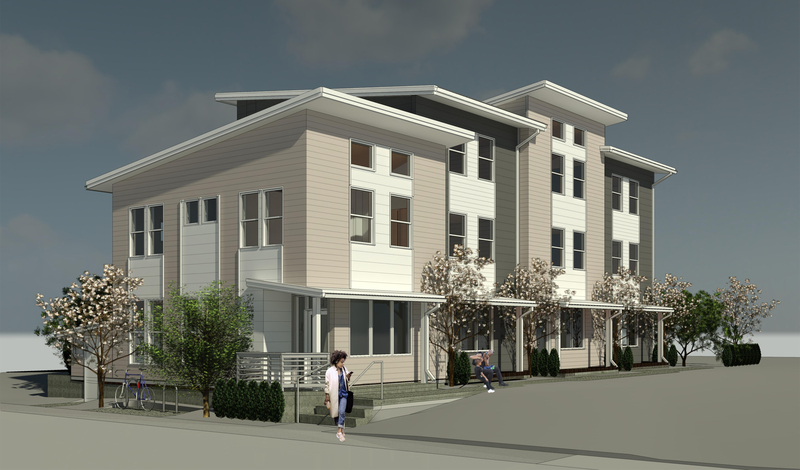 As part of our Pathway 1000 Initiative to mitigate and prevent involuntary displacement in North and inner Northeast Portland, PCRI will develop new homes for purchase. The first development, on North Williams Avenue, is targeted to begin construction in February 2018 and will include four two- and three-bedroom row homes (as shown in the rendering at right, more information HERE). 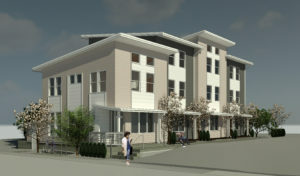 Future developments are envisioned to include row homes similar to the North Williams development, family-size single family homes, and other types of housing. These homes will be prioritized for purchase by households who have family roots in the neighborhoods where the homes are built. Some homes will be made available through Portland Housing Bureau’s North/Northeast Homeownership program and will utilize Portland Housing Bureau’s preference policy for displaced families. Families who purchase these homes can receive the full benefit of their homes’ equity and appreciation. Repayment of certain down payment assistance programs may be required; PCRI can help buyers understand all the opportunities and restrictions. In 2010, PCRI developed its first homes (pictured at right) specifically intended for purchase by low- to moderate-income first time homebuyers. These 3-bedroom, 2-bathroom homes were featured on the City of Portland’s Build it Green! 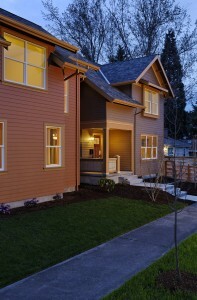 homes tour and earned LEED Gold certification for their durable, energy-efficient, and healthy construction. The homes were sold to qualifying first-time buyers and were made affordable to these buyers thanks to grants identified by PCRI as well as down payment assistance made available by Portland Housing Bureau. Families who purchased these homes received the full benefit of their homes’ equity and appreciation (provided certain conditions of residency are met). PCRI’s Homeownership Education program is intended to assist low- to moderate-income, first-time buyers in creating a successful action plan towards homeownership. The one-on-one counseling is designed to help overcome any obstacles that would prevent affordable mortgage financing. We work with each client to analyze their financial and credit situation, identify prospective barriers and develop a plan to remove any barriers. We also work to assist clients with debt-load management by preparing a manageable, monthly budget plan. Clients in the Homeownership Education Program work in concert with PCRI’s Financial Wellness Program to create detailed, manageable budget plans. Clients may also be able to enroll in a matched-savings Individual Development Account to help maximize savings toward a down payment or home repairs. Monthly homebuyer workshops are held each month and provide clients with additional information on a variety of topics related to the home buying process. Check out our list of classes and register HERE. For more information, contact PCRI’s homeownership team by email or at 503-288-2923 x102.